I started reading these comics last week. Nice to see a new sprite comic that’s actually good. 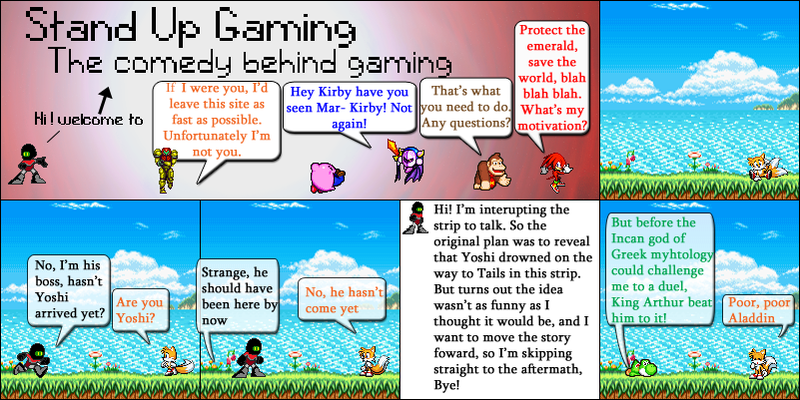 Not that I have seen sprite comics that were new when I first saw them (before now), but I’ve heard that new ones are often not that good. I like your frequency of updating these as well. Thank you! It’s refreshing to get a comment that’s not mindless spam for a change.